Individuals with the Cold & Pale body constitution are often very sensitive to the cold and find it difficult to maintain the warmth in their hands, feet or even waist and back. This cooling of the body is the result of a deficiency in the natural store of Essence in the kidneys. The kidneys are a major source of warmth (Yang) to the entire body, so the Cold & Pale diagnosis suggests a given individual has a weakness in the kidneys. A Cold & Pale Body Constitution needs to be observed regularly and carefully since the identified imbalances can often lead to weak digestion, a pallid complexion or sometimes swollen limbs. In extreme cases, weakness of the kidney can lead to more serious diseases in the long term such as Osteoporosis, Rheumatism and infertility. To find out how to lead a healthy and balanced life if your body type is Cold & Pale purchase our detailed 15 pages report. 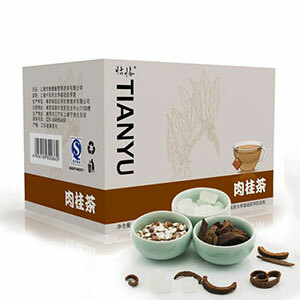 Chinese Cinnamon tea and its ingredients collectively address this weakness, correcting levels of Yang, enhancing the functioning of the kidneys and promoting circulation throughout the body. Other related organs are also addressed, with Fox Nut strengthening the spleen and Rock candy soothing the stomach.